Hunting dogs and the hunt were popular subjects in 19th century art. 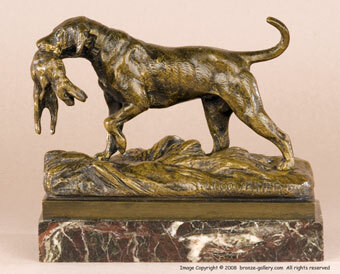 This small bronze is of that genre and shows a Pointer dog retrieving a Hare for his master. 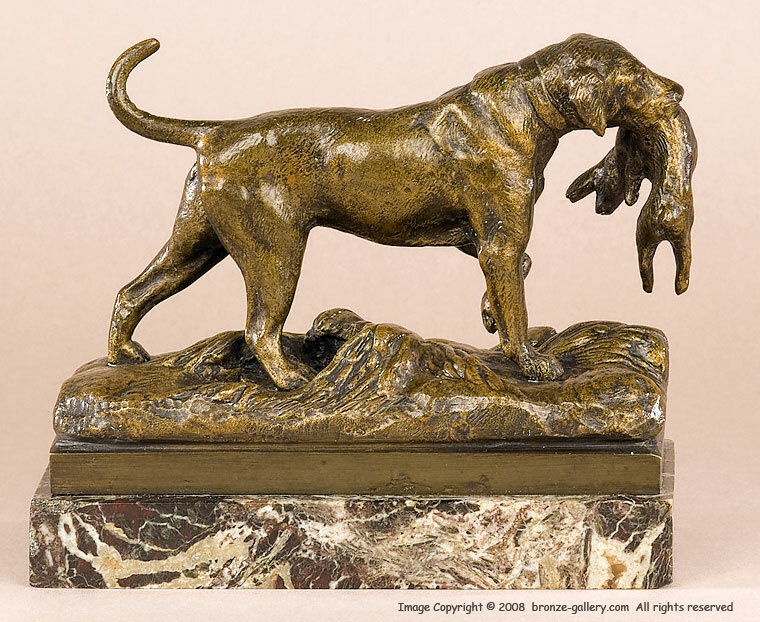 Pointers, setters, and Hounds were the most popular hunting dogs of that time, along with Spaniels, all of them worked to point and fetch game for the hunters. This bronze is well detailed and is mounted on the original 3/4" thick marble base. A nice piece for a man's desk or for a cabinet.